Worldwide, ten percent of infants are born prematurely, i.e., at less than 37 weeks of gestation. Prematurity of birth increases the likelihood of mortality and lifelong morbidities and its incidence is rising worldwide affecting both developed and developing countries alike. 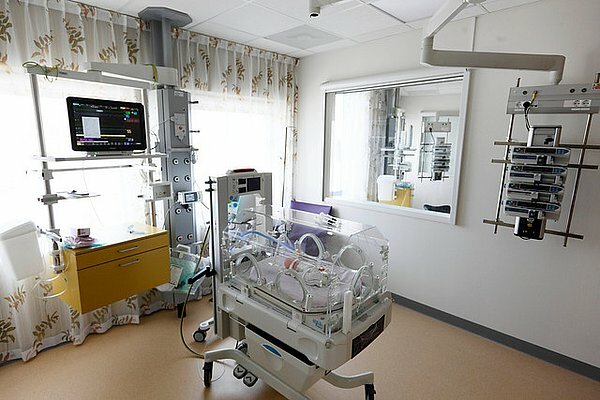 The most vulnerable infants, often weighing as little as 500 grams at birth, are placed in neonatal intensive care units (NICU) where their vital signs are continuously monitored so that nurses can rapidly stabilize any life-threatening deteriorations. The project aims at developing algorithms using the continuously monitored vital signs recorded in the NICU with the aim of predictive monitoring, so as to avoid entirely or to provide early detection of undesirable clinical incidents, both acute deteriorations and diseases. An increased window of opportunity for clinical action increases the likelihood of timely interventions, which in preterm infants not only holds the potential to have a large impact over the course of their lives but can also reduce the physical, emotional and financial toll on families and society at large. Deedee Kommers, Rohan Joshi, Carola van Pul, Louis Atallah, Loe Feijs, Guid Oei, Sidarto Bambang Oetomo, Peter Andriessen - “Features of Heart Rate Variability Capture Regulatory Changes During Kangaroo Care in Preterm Infants”, The Journal of Pediatrics; Dec 2016. Rohan Joshi, Carola van Pul, Louis Atallah, Loe Feijs, Sabine Van Huffel, Peter Andriessen.- “Pattern Discovery in Critical Alarms Originating from Neonates under Intensive Care”, Physiological Measurements; Mar 2016; 37(4):564-79. Carola van Pul, Rohan Joshi, Wouter Dijkman, Heidi van de Mortel, Jarno van den Bogaart, Thilo Mohns, Peter Andriessen. - ''Alarm Management in a Single-Patient Room Intensive Care Units'', Recent Advances in Ambient Assisted Living – Bridging Assistive Technologies, e-Health and Personalized Health Care (Editors: Wei Chen, Juan Carlos Augusto, Fernando Seoane, Fedor Lehocki, Klaus-Hendrik Wolf, Johan Arends, Constantin Ungureanu, Reiner Wichert), IOS Press, 2015, 978-1-61499-596-8 (Print) | 978-1-61499-597-5 (Online).